Now, the current Indian tablet PC market is flooded with price-driven tablet PCs, now two more tablet PCs are added in that line. 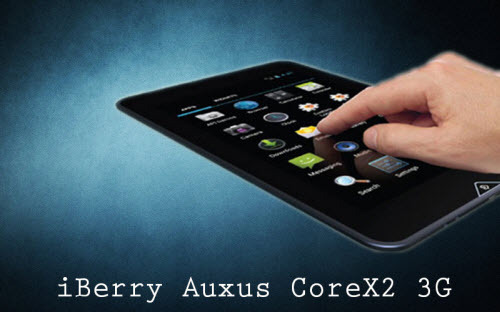 Yes, the technology firm iberry has launched two new models of tablets namely Auxus CoreX2 3G and Auxus CoreX4 3G. As the name suggests, both the tablets are 3G enabled and also can make voice calls over 3G. This tablet comes with 7 inched High Definition display and 3G SIM card support. The display has a resolution of 1280 x 800 pixels which is powered by the dual core Cortex A9 processor which has a processing speed of 1.6GHz. Further it has 2Mp Rear Camera along with front facing VGA camera and comes with Jellybean 4.1.1 android version. Adding to the specs it comes with 8GB of internal memory, 1 GB of RAM, and an external SD Card support which can house a maximum of 64 GB of storage. Along with all the above mentioned things this tablet comes with latest bluetooth 4.0, 4100 Mah battery mettle and comes with a price tag of Rs.10,990. The major difference between these two models is its display. 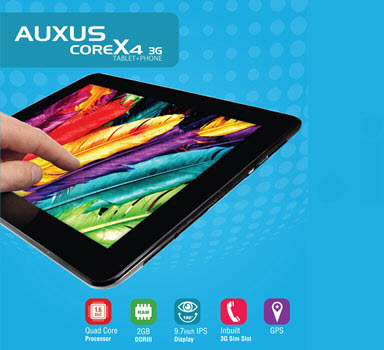 This Auxus core X4 comes with bigger 9.7 inched HD IPS display along with a 1.6 GHz Samsung’s EXYNOS Processor, 1.6GHz processor, 1024 x 764 resolution, 2MP Camera along with a front facing VGA camera.